Very powerful for its size! This Coleman Sportster 11 Dual Fuel stove is economical to run and can be run on unleaded petrol or Coleman Fuel. Unleaded petrol is cheaper but will block the generator quicker than Coleman Fuel. Its very powerful, giving up to 10,500BTUs, of fully adjustable cooking power. The Windblock system shields the burners for maximum, consistent heat. Economical to run, appliances powered by liquid fuel offer superior operational cost efficiency. Heavy duty components for maximum strength and product life. Complete with Coleman limited 5 year warranty. One filling of fuel operates for 1.75hrs. Exactly what it says on the tin quality!! I have had one of Coleman's stove for 30 years never lets me down. this one is for my daughter and son-in-law, that should keep them going for the next 30 plus years. Very good product works as it should very quick at boiling my water whilst I'm out fishing. Nice little stove that works brilliantly! Just replacing an old one. Solid construction and good quality , exactly what I hoped for. Pan sits steadily on top and heats incredibly quickly . Found small camping gas canisters hard to come by abroad - this solves the problem perfectly . Great little stove. Used over a long weekend camping. Excellent stove. Quick to prime, economical and efficient. 5 star item, i would reccomend it ! Good little stove that boils a cuppa quickly. Works well, unfortunately it looks like it was damaged either in transit or dropped at some point prior to being shipped. The metal fins which support a pan on the stove were quite badly bent however straightening them out was easy enough and it works very well. Angling Direct were giving the best price. Did a great cooked breakfast on my recent 24hr trip. What can I say? It's a Colemans, good quality and built to last! An excellent product for a good price. I'm not a fisherman, but this was perfect for me. Already own one of these and buying a second - i think that speaks for itself. Cheap to run and powerful stove. Brilliant, so light in weight so perfect for travel. Lights easily and quick to use. Fantastic piece of kit, easy to use and gets the kettle boiling in no time. 2nd one of these-had 1st one for 10 years and used frequently.Tried and tested is a really good stove and cheap to run. Works as required but eye-wateringly expensive Coleman's fuel. Use napha (bodyshop degreaser) instead. I am very pleased with my coleman stove. It is very good and would recommend one to anyone. Thank to angling Direct for their great service. Wicked stove, boils a litre of water in no time, runs on easily available fuel (unleaded petrol). 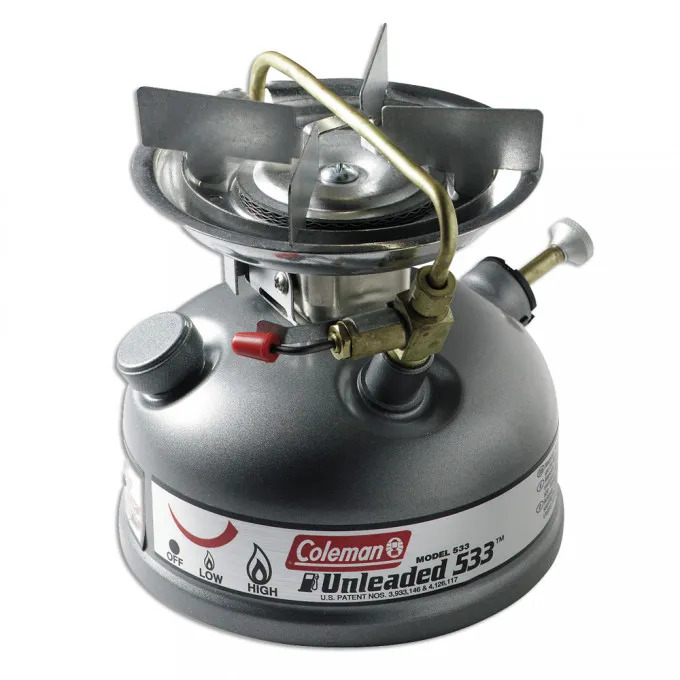 I bought the Coleman II sportster camping stove for going to music festivals and it's a fantastic little stove I was amazed at how fast it boiled a litre of water and it runs on unleaded fuel, really happy! Great powerful cooker but hard to control flame on low level. Fantastic prices and mega quick despatch times. I made the switch from gas to this and glad I did. Really kicks the heat out. Great well made stove thats gonna last a lifetime. Would highly recommend.